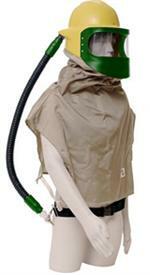 Supplies air for one hood-style or two half or full face mask airline respirators. Air flow is 10 cfm at 5 psig. The EDP10 is lightweight at only 49 pounds!